When applying Lean to any support activity, we must consider separately the impact on effectiveness and efficiency. Ram’s comment on “eliminating redundant activity, streamlining work processes,…” addresses the efficiency of the accounting department’s internal operations. Instead, what Lean Accounting is primarily about is the effectiveness of the accounting function in supporting the business. It is about the nature of the services provided, and it only concerns management accounting — that is, the numbers that are intended to provide management with information on the effects of its actions. Accounting also has to provide reports to external stakeholders in formats and with contents that are mandated. It is a game of using the rules to make the company appear simultaneously poor/struggling to tax authorities, and rich/successful to investors. But these numbers do not tell a plant manager how he or she is doing. In this as in many other areas, the practices that are standard today are relics of an era in which the work of manufacturing was more manual than it is today and data processing was manual. 100 years ago, for example, unit costs for manufactured products were tallied on paper spreadsheets and comprised of materials, labor, and overhead, with overhead being allocated to products in proportion to the labor consumed in making them. Today, every high schooler carries more computing power than the J.P. Morgan bank had in 1900, and a steel mill uses barely 1/10 of the labor it required just 50 years ago to support the same volume of production. It spends about ten times more on overhead than on direct labor, and allocating this gigantic overhead to products based on a tiny labor content has been recognized as unnecessarily simplistic in the management accounting literature for decades, yet it dies hard in factories. 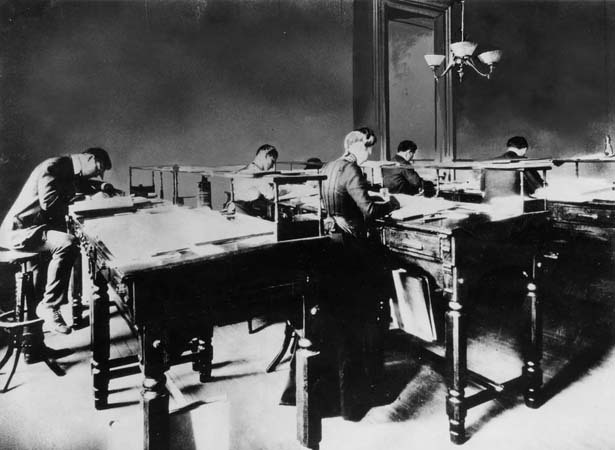 For at least 150 years, the most advanced work in management accounting has been done in the US. As Alfred Chandler tells the story, in the 19th century, accountants defined business-specific metrics — like “cost per ton-mile” for railroads — that are useful for companies focused on only one business. Today’s airlines, for example, use “revenue passenger miles.” Later, diversified companies needed generic tools to compare divisions engaged in different businesses, leading 100 years ago to a system of ratios like Return on Assets or Return on Investment, developed at DuPont and still in use today. “XYZ Consulting helped clients achieve more than $317M in ROI.” An ROI is a ratio, not a sum of money. It is expressed as a percentage, not in currency units. “We have an ROI of 2 years.” Again, the ROI is a ratio of yearly values. Its inverse, in years, is the Payback Period. American management’s love affair with these tools culminated in the 1950s, when executives from the financial side took over control of large corporations like GM and Ford, and managed them like car drivers who keep their eyes on the instrument panel rather than the road. In the 1953 movie Executive Suite, the R&D manager and the chief accountant of a furniture manufacturers compete for the job of CEO in a board meeting. In the movie, the R&D manager wins over the directors with a passionate speech about products, quality, and pride in workmanship; in real life, on the other hand, the accountants won. By the 1980s, the problems this caused were obvious, and critics raised their voices. Harvard’s Robert Kaplan explained how management accounting had lost its relevance, and Eli Goldratt denounced accounting as the “number one enemy of productivity.” As improvements, Kaplan proposed Activity-Based Costing; Goldratt, throughput accounting. In the 1990s, as Lean was gaining traction in the US, authors like Brian Maskell, Orrie Fiume and Jean Cunningham proposed various ideas under the label of “Lean Accounting.” I see Maskell as focusing on accounting for “Value Streams,” while Fiume and Cunningham emphasize reports that managers can understand without special training and that do not mislead them. Remarkably, none of this came out of Japan. The message I get from the TPS literature is that we should not pay too much attention to management accounting. Taiichi Ohno, for examples says “Costs do not exist to be calculated. Costs exist to be reduced.” Literally, it makes no sense. Costs are numbers, intended to quantify the consumption of resources for the purpose of supporting decisions. What Ohno is really saying is that we should not spend too much effort at getting the numbers “right,” but should instead focus on bringing them down. In “Toyota Management System,” Yasuhiro Monden does not discuss management accounting as a function. He does have a chapter on Target Costing and Kaizen Costing, which, consistent with Ohno’s recommendation, covers how costs are used in managing the business but not how they are calculated. There is nothing, for example, on overhead allocation or on the handling of depreciation, that are at the core of management accounting in the US. A 1988 article by Toshiro Hiromoto in the Harvard Business Review about Japanese Management Accounting extols it as “another hidden edge.” In particular, he thought it was a great idea for Hitachi to use management accounting as a tool to drive the implementation of its strategy. The example he quotes has the system apply overhead surcharges to products that use nonstandard components, as a means of discouraging this practice. But it seems more like a misunderstanding of the whole point of management accounting, which is provide objective information for management to set strategy. It is not intended to be an implementation tool. The article begs the question of what information Hitachi’s managers had used to determine that eliminating non-standard components was a strategy they should pursue. This being said, looking at the record of the past decades, lack of sophistication in management accounting has not prevented Toyota from being successful. And where Japanese industry is struggling today, as in electronics, nobody is blaming management accounting. The bottom line on Lean Accounting is that it is an approach developed in the US and not based on Toyota’s practices. It doesn’t mean there is anything wrong with it, only that it must be judged on its own merits and not presented as part of TPS. This is a broad subject that deserves more than a few sentences. Most attempts at quantifying the financial benefits of a successful Lean implementation are mistakenly focused on cost savings. For example, the point of quick setups is not to save costs but to enhance flexibility, which makes the company more attractive to customers. You do many things to increase sales. You advertise, you sign up more distributors or dealers, you adjust prices, and you improve your manufacturing performance. Some of these actions may be effective and others not, and it is not easy to know which ones. Even when you know an action helps, you often cannot separate its impact from others’. For example, if you advertise that you can deliver any custom configuration of your product in 5 days anywhere in the US, and sales go up by 15%, you know the market responded. But you still don’t know how much of the response was specifically due to the content of your message as opposed to the artistry of its presentation, or even just the amount you spent on advertising. Focusing instead on cost savings may be easier, especially for accountants, but it is largely irrelevant. 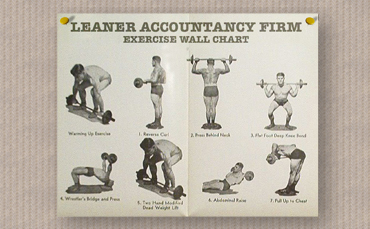 Note: The featured image from AccountancyAge, 11/2/2011. I have only today come across this discussion and it is very interesting to me as I work a lot in this area. Just a couple of points as I am jumping in late in the process. 1. It seems that most everyone agrees that (what Paul calls) “traditional, classic accounting” drives behaviors that impede the progress of lean because it is built on the assumptions of the mass production it was designed to support. In many ways the TPS is the opposite of mass production. 1. The question then is what do we do about this? We can either ignore the management accounting or we can change it. It seems to me that there is no argument anywhere else in lean thinking that we would continue highly wasteful and (in most companies) harmful processes and try to ignore it. We would want to eliminate the waste and have processes that add to and motivate lean thinking and improvement. * Provide information that helps people to identify waste and create improvement. This includes appropriate measurements, timely and clearly understandable financial & non-financial information, simple and valid methods for making decisions, and a way to monitor if their decisions have achieved the expected results. Does Toyota do this? Yes, according to Mr. Obinger. 1. There seems to be some misunderstanding about how companies, and particularly large companies, provide financial reporting at corporate levels. 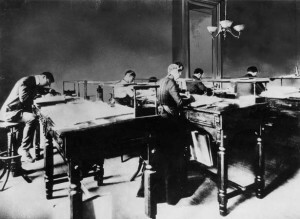 Paul suggested that “classic accounting can neither be replaced or ignored”. 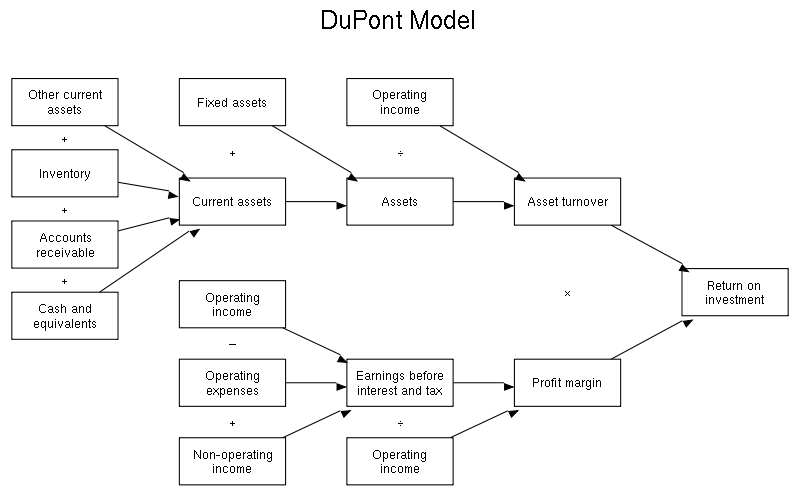 I am not quite sure what is included in this idea of “classic accounting”, but the lean accounting methods provide all the information required for external reporting and is fully in compliance with GAAP (generally accepted accounting principles). The leaders and executives have appropriate and (in most cases) better & more helpful financial analysis. Does Toyota do this? Yes, of course. 1. However, if this “classic accounting” includes senior people in the company pressurizing production leaders to absorb overhead, to build inventory to prop up short term profits, or to make routine decisions using standard costing methods that drive anti-lean behaviors…… Then we can not say that this can neither be replaced or ignored. According to professors Krishnan, Brüggen and Sedatole this is what drove GM and Chrysler into bankruptcy in 2008.